I'm so THRILLED to bring you this great guest tutorial from Nicole Austin for Kit Kraft. It's a great way to use both old and new items to tell a story in a unique and amazing way. I absolutely love, love, LOVE it! 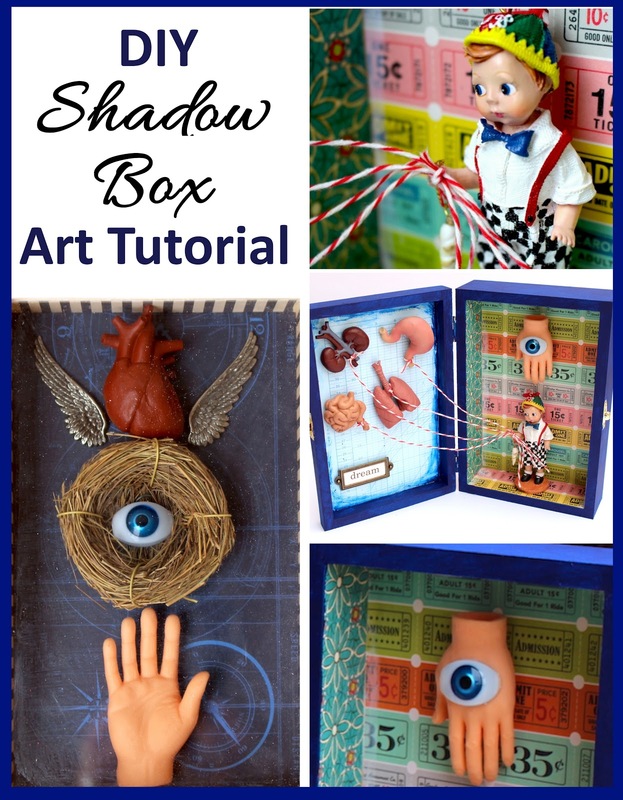 Learn how to create these unique outsider art inspired shadow boxes. You can make yours with a particular theme in mind or keep it slightly weird and random. 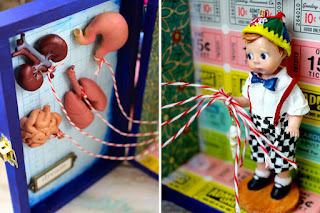 Start by gathering some items that inspire you or an assortment of antique toys, doll body parts, bottle caps, metal gears, etc. Place your items in the shadow box, playing with the composition and ensuring everything fits okay. Then apply a light coat of Gesso to the surface of the shadow box with a foam brush. After the Gesso is dry, paint the outside surface with 1-2 coats of acrylic paint. When dry, lay all of the items on the backing, leaving a little bit of space at the bottom and top for the shadow box cover. Then adhere the items to the backing with a glue gun. Once dry, place the backing into the shadow box and secure it with the hinged pieces on the back. 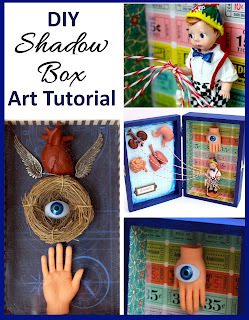 You can also create shadow box art using a wooden box with hinges. Simply follow the same directions as the shadow box. You can make something that spills over from one half of the box to the other or create two separate scenes. Another option is to use the paint to add shading or distress the paper. Put a word cut-out into the antique brass label holder, securing it with a little bit of glue, then attach it to the box with a glue gun. Tie a 12” piece of hemp cord to each of the organs. Gather the cord loosely, tie it at the spot where it reaches the ornament boy’s hand, cut off any remaining string and glue to the hand. I hope these shadow box ideas inspire you to create your own shadow box art! 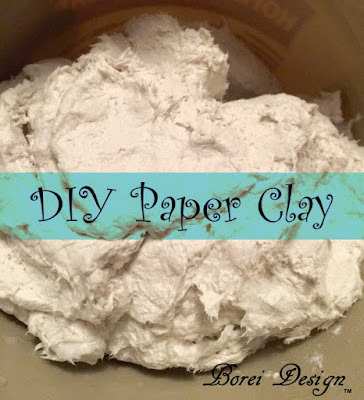 To see a materials list, additional project details and where to purchase the supplies used in this tutorial visit Kit Kraft. Kit Kraft is an arts and craft supplies store serving creative people since 1946. This project was created by Nicole Austin, a mixed media artist and instructor who enjoys sharing her creative knowledge with others. So many creative possiblities! I can see how individual each piece of art would be. Great project idea! I have never seen such interesting, unique and detailed shadow boxes. You've really created a piece of art. Great job! No doubt that all this techniques can provide so many good pieces of art. My niece is an artist and she uses some of this to create her own pieces. How cool is this! I think it would be a great way to "store memories" for my 20-month-old twins! They would LOVE stuff like this hanging in their room! 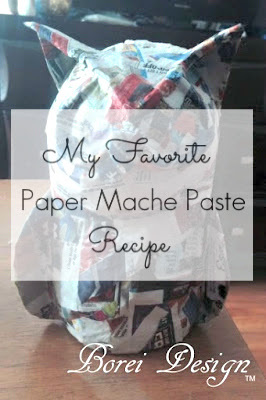 This is a really fun project idea. I can see some very creative ideas coming from this. This is a fun way to learn. My nieces and nephews could make good use of this idea. This DIY shadow box looks so much fun to do. My niece would love this so much. She really loves to do a unique art.